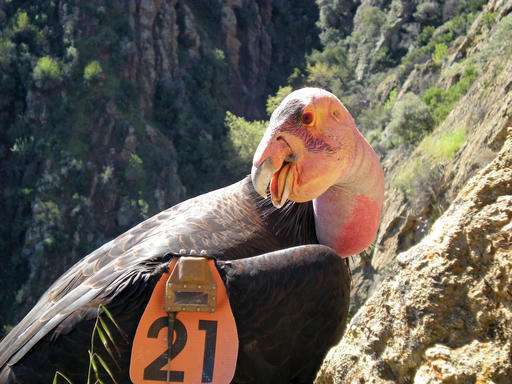 Solar-powered trackers on wings have recorded California condors soaring to 15,000 feet, while locators attached to humpback whales have revealed 1,000-foot dives to underwater mountains. And GPS collars on Yellowstone grizzly bears are giving new insights into one of the most studied large carnivore populations in the world. 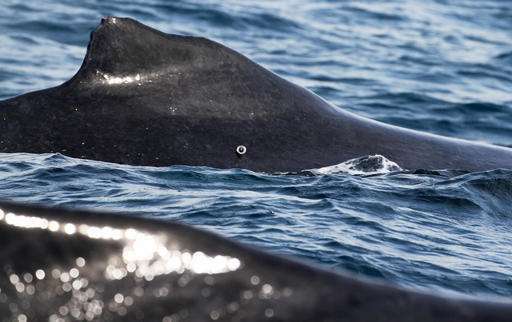 "It's a large field that's developing very fast," said Alex Zerbini, a research biologist with the National Oceanic and Atmospheric Administration's National Marine Mammal Laboratory in Seattle. 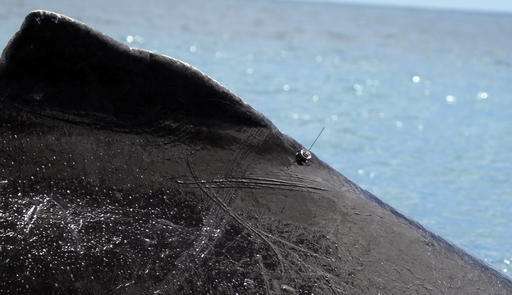 "There are many types of tags being developed for many species of marine animals." Scientists say whitebark pine, a key grizzly bear food source, has been diminishing due to insect infestation, possibly due to global warming. A recent study aimed at finding out if grizzlies are finding a replacement food source used more advanced GPS collars that could tell if a grizzly spending a long time in a specific area was guarding a dead carcass or napping. "We were actually able to determine differences in the patterns between those types of activities," said Frank van Manen, leader of the Interagency Grizzly Bear Study Team. The results, he said, suggest grizzlies are relying more on carcasses and less on whitebark pine in the fall when the tree produces edible, high calorie seeds just as the bears are trying to pack on weight before hibernation. New information is also revealing the nuances of how wildlife interact with the environment. California condors soar high and land to feed on dead animals. But why do they climb to nearly 3 miles above the Earth? Tracking data shows that once the condors attain a high altitude, they take a long downhill glide, sloping in a specific direction toward a dead animal they've already fed on or to an area they have found dead animals in the past. One condor made a 70-mile flight, traveling 210 miles in a single day. Joseph Brandt, a wildlife biologist with the U.S. Fish and Wildlife Service at the Hopper Mountain National Wildlife Refuge in California, said wing flapping is inefficient for the birds that can weigh 25 pounds and have wingspans of 10 feet. Instead, they use rising currents of heated air called thermals to gain altitude. Tracking the birds suggests that flying conditions might be the primary factor dictating where condors live. "Maybe they're finding food where the flying conditions are best," Brandt said. 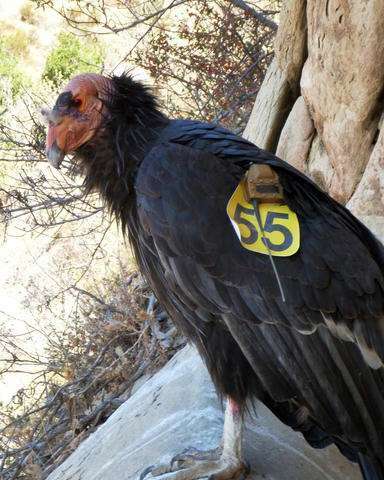 He said the new tracking information, along with meteorological data, is being used to create maps of areas with weather conditions suitable for condors as part of Fish and Wildlife's plan to continue recovery efforts of the federally protected bird. "We really see how the birds are using the topography," Brandt said. "We compare wind conditions to see how the bird is reacting in that kind of 3-D world." Similar analysis involves how the behavior of Steller sea lions off Alaska is linked to ocean cycles. Many species of birds around the world are also being tracked, including long-billed curlews, and sage grouse in Idaho. The findings have led to more questions. For example, after learning that humpbacks dive to underwater mountains, scientists wanted to know why, Zerbini said. Are they feeding? Are they socializing? "It's always like that in science," he said. "The more you know, the more questions you have. Which is good. Then you can develop the technology specifically to address your new questions." Is it just me or is that label on this bird wing really too big, bad designed, I mean I'm sure the GPS tracker has an ID number. Why do you even need such a big number written on it? Why is an id number pressed on the metal part not enough? So it can be seen from a distance? In case the tracker breaks?